Twins Minor League Report (9/2): Hicks! There was plenty of Twins-related minor league news on Wednesday. Miguel Sano was named American League Rookie of the Month for the month of August, the first Twin to garner that award since Little Benny Revere in the summer of 2011. Congratulations to Red Wings INF James Beresford and 1B Reynaldo Rodriguez who were named International League All-Stars. Rodriguez was also named Red Wings MVP. The Kernels made a couple of moves today, placing SS Pat Kelly and OF Zack Larson on the disabled list. They activated OF Chris Paul and received LaMonte Wade from Elizabethton. The Red Wings scored a run in each of the first four innings before completely blowing the doors off with a four-run seventh-inning. The talker here? Aaron Hicks, of course. Two singles, a double and a three-run blast. 4-4. Two runs and a ticket to return to the Twins as soon as possible to be their lead-off hitter. 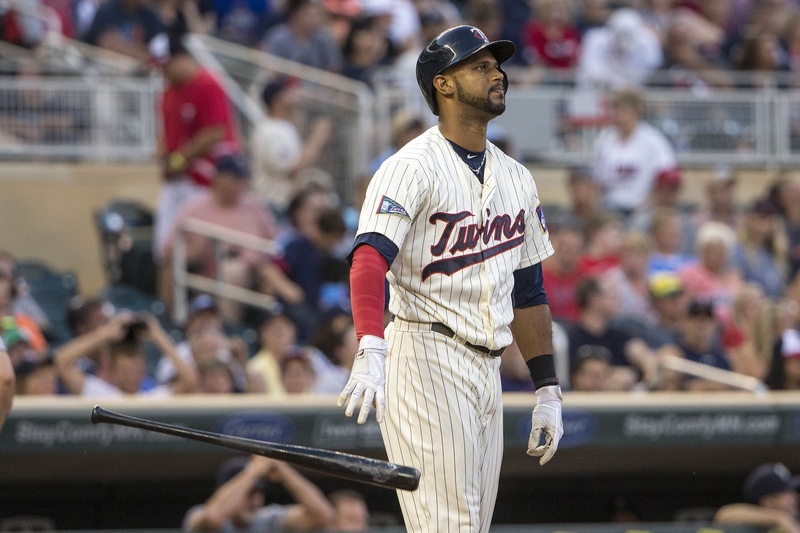 As impressive as the Twins have been the last 11 games, they’re about to get better with the return of Aaron Hicks. Not to be outdone, Danny Ortiz hit solo home runs in the second and fourth inning. Danny Ortiz will put a major league uniform someday, it just probably won’t be with the Twins. Doug Bernier and Carlos Paulino each added two-hit games. Taylor Rogers improved his AAA record to 10-12. While not overly impressive, it’s difficult to get decisions in 22 of 26 starts - especially after starting the season with two no-decisions - unless you’re pitching relatively deep into games. Rogers did it again tonight, striking out seven batters in six innings, allowing one run. Loek van Mil, all 85 inches of him, made his return to the organization. He allowed a hit and a walk in two innings. The stadium gun clocked him as high as 96 mph. The win improves the Red Wings to 73-66 and keeps their elimination number at one. As in, one more Rochester loss or Scranton win eliminates Rochester from the playoffs. Fort Myers jumped to an early 2-0 lead, but surrendered the lead and the game to a walk-off home run in the 10th inning. The Miracle offense was led by the trio of Engelb Vielma, Ryan Walker and Bryan Harr, all of who had two hits. Walker and Haar had doubles. Vielma stole his 35th base. Unfortunately, that was all six of the team’s hits. Ethan Mildred allowed a run on four hits in 5.2 innings. He struck out two and walked one. He was relieved by Zack Jones who struck out three in 2.1 scoreless innings. Trevor Hildenberger blew the save, allowing a run in the ninth inning. Alex Muren was called on in the 10th inning and he promptly served up a home run to the first batter he faced. The loss dropped the team to 74-62. While it’s possible they’ll have the best overall record in their division - they are currently a game behind Palm Beach - they have been eliminated from the playoffs. Only the first- and second-half winners qualify and Fort Myers failed to win either half. Three multi-run innings were too much for the Timber Rattlers to handle as the Kernels improve to 74-61. The offense led a balanced attack as eight of the nine in the lineup (all except #3 hitter Edgar Corcino) had one hit. Max Murphy hit his 15th double. Alex Real drilled his fourth triple. Austin Diemer hit a two-run home run, his second as a Kernel and fifth on the year. Nick Gordon notched his 25th stolen base. Randy Rosario is working his way back from Tommy John nicely. On Wednesday, he struck out eight in seven shutout innings, allowing five hits and three walks. Jared Wilson allowed one run in two innings. This will be my last regular Wednesday post of the season. Thanks to everyone who’s stopped by throughout the season. "This will be my last regular Wednesday post of the season. Thanks to everyone who’s stopped by throughout the season." Good.Buxton needs to sit for awhile and take some more coaching on how to hit. Hicks is staying in Rochester today and working out and then meeting the team in Houston on Friday. He's definitely ready. That said, I think Buxton continues to play center most games, with Hicks playing in right, and sometimes playing in left for Rosario against some lefties. But yes, he'll play some in CF too. Hicks is available to come up today. Why not today? Why wait an extra day? Why start Torii or Shane when you don't have to? Ack. Flying to Chicago and then Houston in two days probably drains his endurance pretty quickly (and then he would need to sit a day). He's not eligible to return until Friday. Thank you Jeremy. Looked up Gordon's season for the first time in a while. 19 and starting SS at low A for. a winning team, hitting in the .270's with an OB in the .330's and 25 SB with 8 caught stealing. I'm starting to think this kid has a chance. Lol But seriously, a very nice season. A little more discipline and a little more muscle, without losing speed hopefully, and a potential WOW here. Always kept my eye on Danny Ortiz. He could use more discipline, but otherwise would make a nice 4th OF. But yeah, barring trade or Kepler taking over 1B, just no room on the Twins for him probably. Great stuff, Jeremy. A tip of the cap to you and the gang for all the good work keeping us up on the goings on down on the farm. It's always a good read. Cheers! Thank you Jeremy. Looked up Gordon's season for the first time in a while. 19 and starting SS at low A for. a winning team, hitting in the .270's with an OB in the .330's and 25 SB with 8 caught stealing. I'm starting to think this kid has a chance. He's been one of the entire farm's best hitters since June, showing a lot of improvement as the year went on. Does being on the DL affect a player's eligibility for the playoff roster? Hicks qualifies for the playoff roster. It's good to see Hicks have a good game right before he rejoins the team. Rotoworld doesn't often get these things wrong.Fantasy people depend on it. Well doing the math it seems you are right.I feel better. Yeah, about twice a week, I tweet out Nick Gordon's updated stats since May 22nd. It's been really good. In 81 games, he's hit .298/.360/.393 (.753) with 20 doubles, 4 triples and a homer. He's been very good, especially considering his age. Ortiz's bad second half slump likely hurt any chance of him getting called up this year. Great write-up's Jeremy. Entertaining and informative. Twins have one of those "good" problems coming up. Hicks will allow them to give Buxton a rest, or Hunter a rest, or play whoever has the hot hand. How insulting to refer to Ben Revere as little Benny Revere.I'll refrain from writing what I feel about the poster of this article because I don't want to get kicked off this blog.Let's just say that the Twins could use a player like Ben Revere right now. A prolific (and good) writer like Jeremy is going to have a small percentage of his turns of phrase come out less than optimally. I too found it a bit grating and without obvious purpose, but hopefully we can move on. → Article: Twins Minor League Report (9/2): Hicks!